The Irish dancers have had a very busy year. 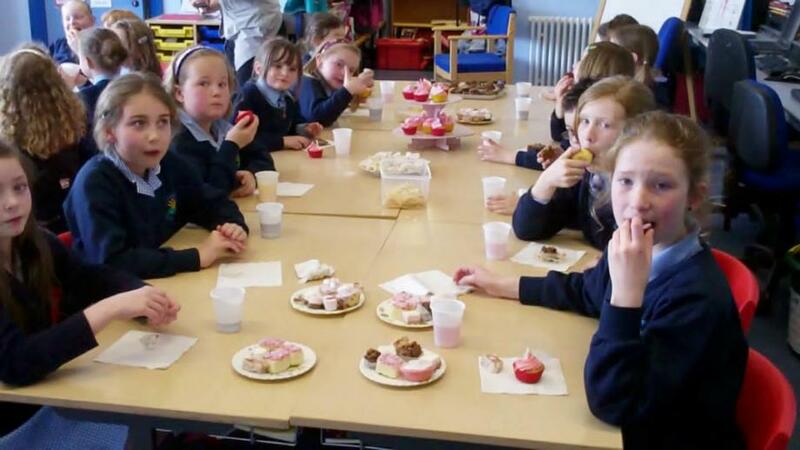 They have competed in three school’s festivals, Ballyclare, Portadown and Larne. Balyclare and Larne were very early starts with the pupils having to be in school for 7.45 am ready to get the bus. 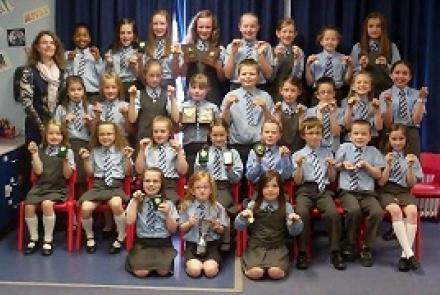 The children danced extremely well gaining various awards and the Larne Senior Team Trophy. For Portadown the children had a more civilized start, arriving at the Civic Centre for 9 am. Here again the children danced extremely well and received a variety of medals. It will be sad to say goodbye to this year’s P7 girls, who have achieved so much in their school dancing career. Thank you for all your support and I wish you every success in their future schools. I hope you will still continue your love for dancing in the future. I also have to say thank you to all the parents for all their support and trying to understand the unusual language the dancers and I have been using. 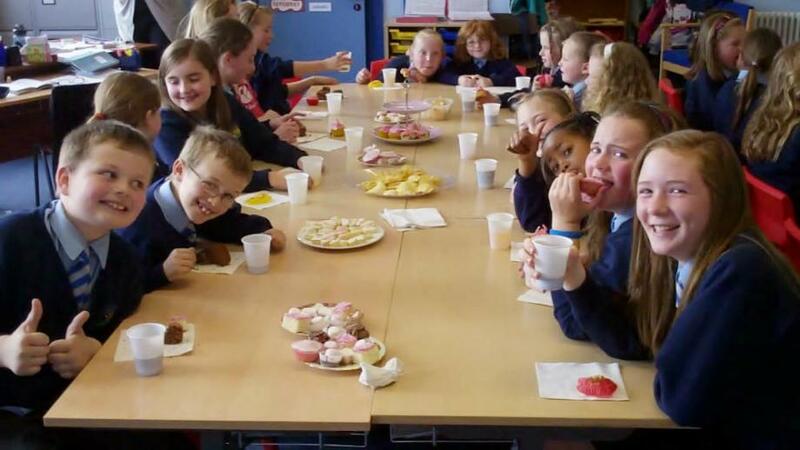 Mrs Mayes Irish Dancers enjoying a well deserved end of year party celebrating their many successes!